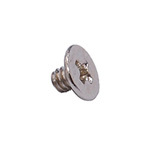 Allows use of USB 3.0 device to type 2242 Key B M.2 type slot in the Desktop or Laptop. Support type 2230 M.2 Card dimension. Support M.2 Key B Card Type. Only support USB 3.0 base type 2242 Key B M.2 slot, PCIe and SATA base can't support. 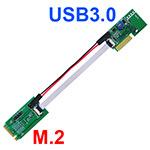 Click the button below to add the P32S-P32F (M.2 (NGFF) to USB3.0 Extender Board) to your wish list.